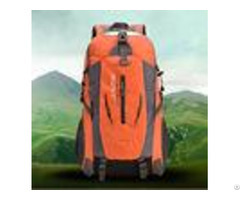 Sport Bags Climbing Camping Mountaineering Sports Backpack Outdoor Bag Hiking Ultra-light Backpacks For Women Men Basic Information Brand: customizable Name: outdoor mountaineering bag Place: made in China Size: Length 30 cm * Width 17 cm * Height 52 cm Capacity: 40L Weight: 0.51KG Fabric: waterproof tear-resistant Oxford fabric Color: red, green, blue and black Description: This outdoor mountaineering bag with a variety of functions, easy to use, large enough space for outdoor camping, hiking, travelling and so on. Features * After Fabric scratch test The fabric is with anti-tear function, do not worry about the backpack be cut by spiky objects in the wild, it was very durable * After Fabric water splashing test This material of the mountaineering bag is with anti-splashing and anti-tear function, professional water repellent, in the rain, no worries Note: short time in the rain to avoid rainwater is acceptable * After Zipper puller test SBS zipper, can withstand 10 million times repeatedly pull, close and smooth, to ensure travel safety without worries 3D suspension carrying system Comfortable carrying system, anti-seismic sweat paste decompression According to the design of the body back movement, we use the comfortable shoulder strap and 3D mesh breathable fabric, fit the human back spine curve, scattered shoulder pressure, more uniform force, suitable for long time packing. S-shaped shoulder strap, thick and wide, non-slip and heat dissipation Thick soft back cushion, decompression comfortable carrying Shoulder strap also have storage function Detail Shows 1. S-shaped comfortable shoulder strap, comfort, so travel more easily on the road 2. Bags internal large-capacity design, can be put into many things 3. Brand logo puller, pull more smoothly 4. Adjustable side buckle design, could prevent items falling from the bag 5. Make the shoulder better force, relieve fatigue, conducive to cervical stretch 6. 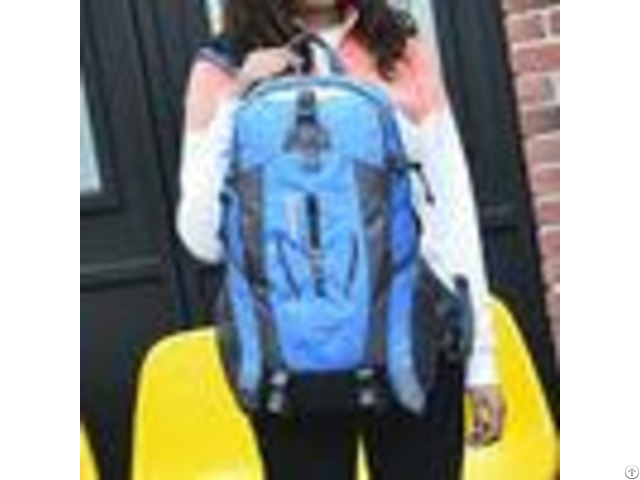 Shoulder strap reinforcement design, make the package more durable 7. Bags at the bottom is with bounds can be linked to camping blankets and other items 8. Bags internal compartment design, can be put into the IPAD, easy to take 9. Bag outside the pocket design, can be placed with mobile phones and other items, easy to take 10. Bag side pocket design, can be put with cup and other items, easy to take DETAIL SHOW: Quick Details - - - - Product Name | Simple outdoor mountaineering sport backpack | For people | Outdoor travelling fans | Color | Any colors as webside shows/Customized | Logo | Customized | - - - - Our Advantage - - - - 1. Small quantity orders are accepted. | 2. Big Supply ability. | 3. Rich experience to work with famous company and brands. | 4. Many styles for you to choose to win the promotion plan. | 5. Special in military supply over 5 years. | - - - - Packing& Shipping - - - - Sample | Lead time 1-3days, For first cooperation, need to charge sample fee | Lead time | 1-3 days for stocks; 30-35 business days for OEM order after sample is confirmed, depend on the quantity. | Port | Shenzhen, Guangzhou | Payment | T/T, PayPal, Western union | - - - - Welcome Consult Us!